We love all of our alumni! This page contains a list of some of the things on our calendar for the 2017/18 university year which we encourage all alumni to come along to. If they’re popular enough, hopefully they’ll all return next year! Also, join the Warwick Bears Frisbee Alumni Facebook group if you haven’t already, it’s a great way to stay in touch with all the other ex-members of the club! And give our Facebook page a like too while you’re at it, it’s a great way to stay up to date with what’s happening in the club! What: A team made up of every interested alumni gets to face the gauntlet that is the men’s 1st team followed by the men’s 2nd team (if enough female alumni are interested, a women’s game would run in parallel). The current member teams would be taking the games seriously, as they would serve as a way to give our BUCS squads some early competitive experience towards the start of the season, but it would still be a relaxed and fun day off for any ex-members which are interested in participating. How: Join the Facebook event to tell us you’re coming. It’s free! What: If you’ve been to Warwick, you know Windoors. 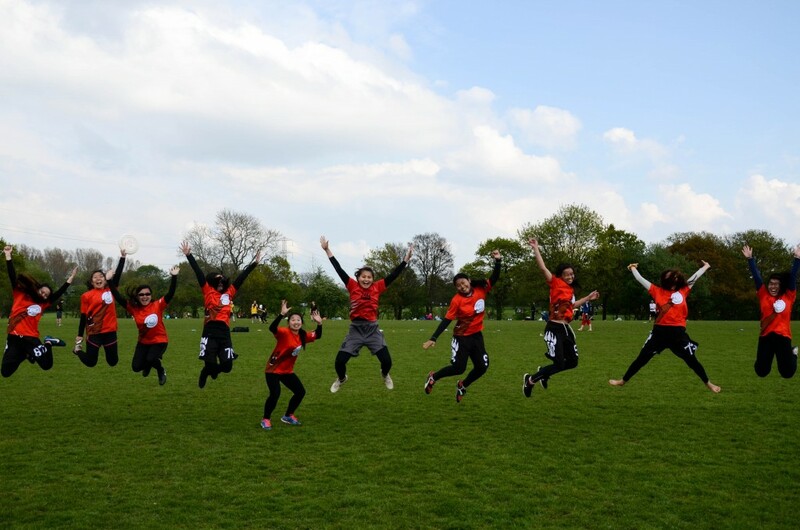 The highlight of the year for many, Warwick alumni teams from all over the UK reunite for one weekend of fun, competitive games (+ an amazing party on the Saturday). First organised in March of ’79, this tournament is the oldest continuously running Ultimate competition in the UK. Exciting! So get your fellow band of graduates together and come along, alumni teams always get priority. How: Send an email to bearsfrisbee@gmail.com if you’re interested in participating, we’ll send out invites (alumni teams get priority) once the hall bookings and everything else is confirmed. Price to be confirmed. What: A fun, chilled out weekend filled with frisbee and other entertainment/festivities for both Alumni and current members to enjoy together. The Saturday would likely be comprised of a small round-robin tournament for everyone to satisfy their competitive urges with, with teams most likely being mixes of alumni and current members, male and female – but this will largely depend on who turns up. Saturday evening would be an (optional) night out where we’d all go for a drink! And to finish it all off, we’d play a relaxed round of disc golf on Sunday for everyone to enjoy before heading home. People are welcome to come for all or part of the weekend, and if you have any recommendations or comments on this, please do let us know. How: Check our Facebook event for details! What: Warwick Bears’ charity tournament, usually one of the last indoor tournaments of the season this one is in a very relaxed atmosphere as teams from all over the UK come to play some competitive indoor frisbee while raising money for a good cause. Alumni teams are of course always welcome. What: A beach tournament in Italy which has become a mainstay of the Bears calendar. We usually send 3 or 4 teams to the tournament, including one team which is usually made up of recent alumni. We’d love it if more alumni were to come along, even if you decided to play for a different team. The more Bears the merrier!